Ecuagenera, from Ecuador, put on a very impressive huge exhibit of over 1000 species of orchids including beautiful Edwardian cases planted with miniature orchids of different genera, showcasing the diversity of orchids in Ecuador. Thailand’s beautiful exhibit contained a waterfall, ferns and mosses showcasing lady slipper orchids. It was an excellent opportunity to introduce myself to key people from botanic gardens, orchid societies and research institutions around the world. Over four days there was a wide variety of lectures, with two streams running concurrently providing a choice of topics. 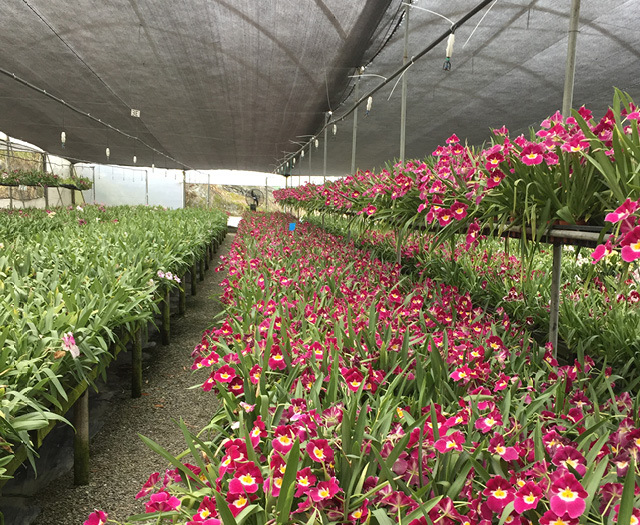 Many lectures discussed the drivers of orchid diversity including climatic conditions and abiotic stress factors, pollinator reproductive isolation, genetic drift and fungal associations. Studies on gene expression and genomics were also presented. Conservation of orchids and their habitats was an important topic: despite being poorly represented on IUCN global red lists, over 70% of CITES species are orchids. I was the last speaker before the closing ceremony, an agonising five day wait! Despite the nerves, it was quickly my turn and once the microphone was in my hand I was keen to present on the development of education programmes about orchids in botanic gardens, and how engaging the next generation in plant biology and showcasing excellent conservation is crucial. I hope the conference will create greater collaborative educational possibilities in the future. I also learned a great deal about orchid biology and continue to improve my knowledge of orchid biodiversity, hybrids and conservation programmes. Following the conference, I visited the Botanic Gardens of Guayaquil and Quito, to compare their orchid education with others. I also discussed seed storage and micropropagation of orchids with colleagues at Quito Botanic Garden. I met with the Ceiba Foundation who manage community conservation projects and education programmes in Ecuador and attended the 25th International Conference for Research and Management of the Bear. 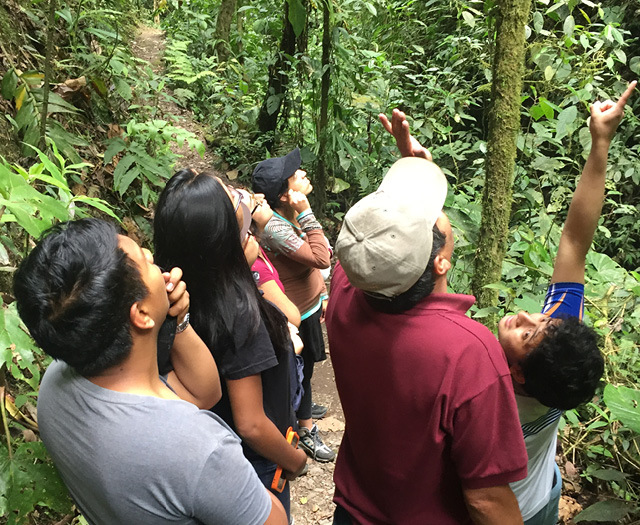 I was able to compare the mammal and plant conservation efforts and also visit Maquipucuna biological reserve. I was excited to see a lone young male Andean Spectacled Bear grazing on wild avocados as well as many bird species and wild orchids. I also visited El Pahuma Orchid Reserve, a community project that allows locals to protect the ecosystem and make a sustainable living from it. 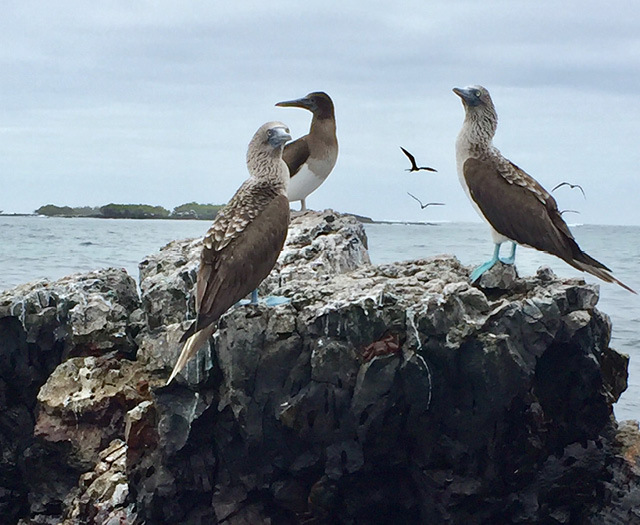 As a biologist I couldn’t travel to Ecuador and not make the journey to Galapagos, the home of evolution. 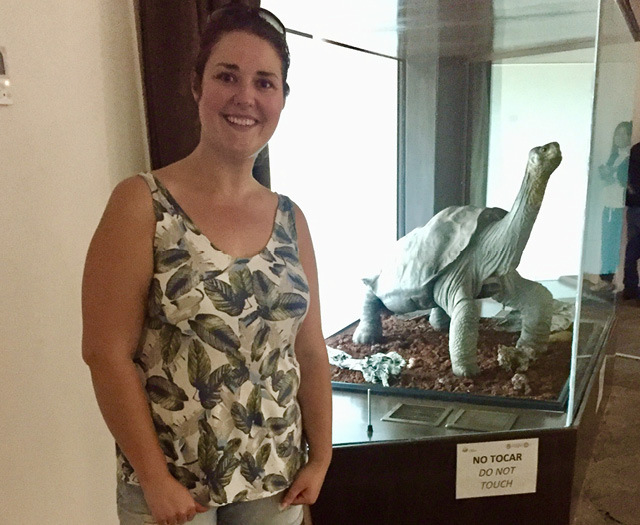 At the Charles Darwin Research Centre I learned about tortoise breeding programmes and the conservation efforts of Galapagos species, and I even got my photo taken with the legend that is Lonesome George! Four weeks after arriving in Ecuador my trip was at an end. It had been very productive and inspiring. I am extremely grateful for the support for the Royal Society of Biology’s early career travel grant for making my presentation at the conference possible and enabling me to improve my knowledge of orchids, the conservation of them and their habitats.